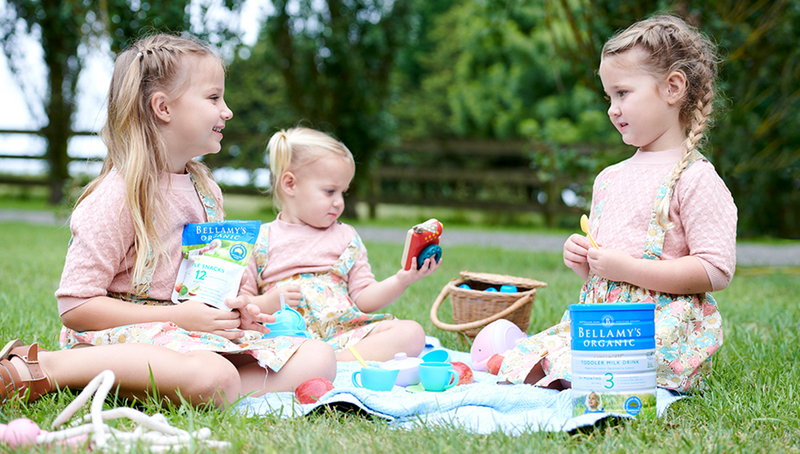 Bellamy’s Organic Pregnancy Formula is a premium formulated supplementary food carefully crafted to support the health of mothers, pre, during and post pregnancy. Our Pregnancy Formula provides nutrition to support maternal wellbeing and foetal development, including DHA, GOS & FOS, helping mothers and expectant mothers meet the additional nutritional requirements of pregnancy and breastfeeding. +For women of childbearing age. Consume at least 400µg of folic acid per day, the month before and three months after conception. Organic milk solids [organic whole milk liquid or powder, organic skim milk liquid or powder, organic demineralised whey powder, organic lactose powder], organic vegetable oil [organic soybean oil, organic sunflower oil, emulsifier (organic soybean lecithin)], organic fructo-oligosaccharides powder (FOS), organic galacto-oligosaccharides liquid (GOS) from milk, dried DHA [fish oil (tuna), sodium caseinate, emulsifier (soybean lecithin), antioxidants (sodium ascorbate, mixed tocopherols, ascorbyl palmitate. Minerals: Calcium carbonate, magnesium carbonate, ferrous sulphate, zinc zulphate, potassium iodide, magnesium chloride. Vitamins: Sodium ascorbate, vitamin E acetate, vitamin A acetate, vitamin D3, niacinamide, pyridoxine hydrochloride, thiamine hydrochloride, folic acid, vitamin B12. % RDI = % Recommended Daily Intake. Recommended 1-2 serves per day. IMPORTANT NOTICE: OUR ORGANIC PREGNANCY FORMULA IS A FORMULATED SUPPLEMENTARY FOOD FOR PREGNANT WOMEN. IT IS DESIGNED TO COMPLEMENT THE DIETARY NEEDS OF PREGNANT WOMEN WHO MAY REQUIRE ADDITIONAL INTAKES OF ENERGY AND NUTRIENTS. Wash and rinse cup and all utensils thoroughly. Fill the measuring scoop with powder and level off using the levelling blade on the tin. Always add one level scoop (8.6 g) of powder to each 50 mL of drinking water. Add 4 level scoops (34.4 g) of Organic Pregnancy Formula to 200 mL of drinking water. Whisk, shake or stir the mixture briskly until powder dissolves and serve immediately. If prepared milk drink is not consumed immediately refrigerate and use within 24 hours.